Adopt a Cat from Myrtle Beach | Sav-R-Cats International, Inc.
Because Sav-R-Cats is a no-kill shelter, we have many cats looking for a good home. Some have been here a long time and very much need to find someone to love and to be loved back. If you are that person, we invite you to visit our shelter. You are sure to find a cat that will be a perfect addition to your family. In fact, you may have a hard time narrowing your choice. To view our cats available for adoption, check out our adopt page! 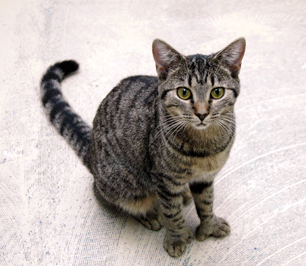 Amy is a polydactyl cat who has been at our adoption center since she was a kitten. We are also at the PetSmart in the Coastal Grand Mall and the new one off of Hwy. 544 in Surfside Beach on a rotating basis. Check our calendar for specific dates.